Want everyone to know where there’s a whole lotta shakin’ going on? 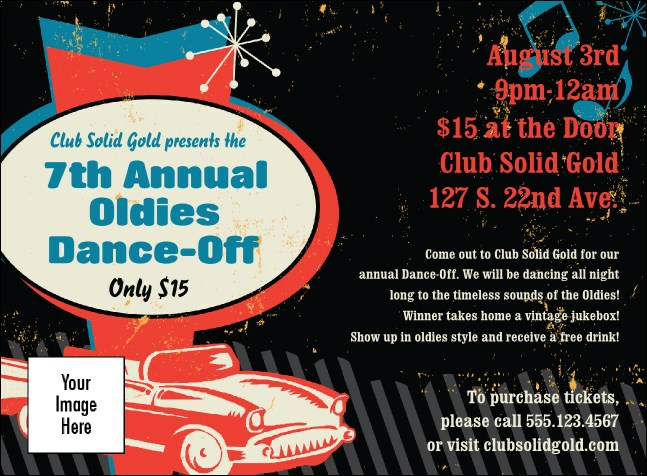 Send them the dazzling Oldies Invitation! A classic car, drive-in sign and poodle skirt shine in fluorescent tones leaving plenty of room for your event information and two custom image uploads to the template. Matching Event Kit Looking for more themed designs? Rock around Ticketpriting.com’s block and check out the great options!